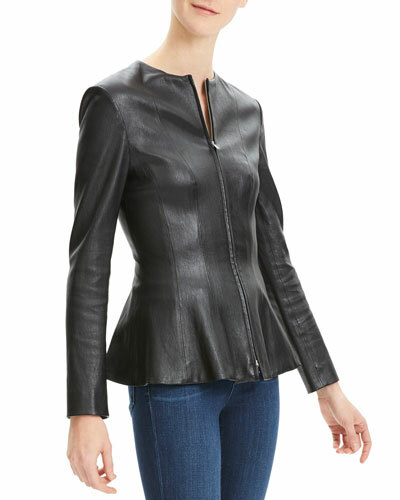 Find your perfect jacket from Neiman Marcus’ stunning selection of leather jackets and moto jackets for women. The stylish leather jackets, made from premium raw materials, ensure that you stay on top of the fashion game every time you step out. From edgy motorcycle jackets to elegant suede jackets, the collection showcases a blend of youthful energy and classic staples. The jackets are expertly crafted to bring out the modern woman’s adventurous side. Whether you’re preparing for a casual outing or a party, our offering of leather jackets is sure to make a lasting statement. 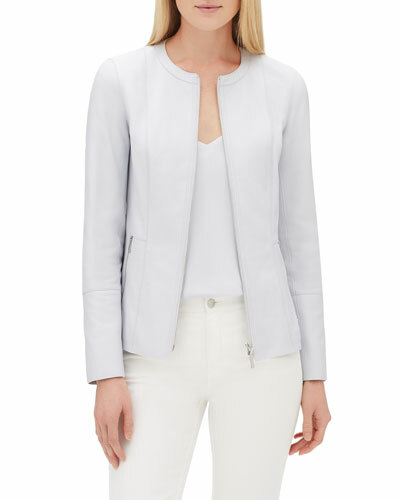 Shop Neiman Marcus for the best in trendy jackets for women in a variety of attractive designs. A.L.C. 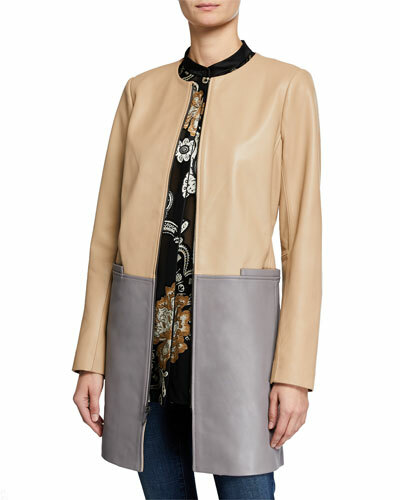 "Benson" moto jacket in leather with floral-embroidery. Notched collar; off-center zip front. Long sleeves; zip cuffs. Side zip pockets. A.L.C. "Benson" moto jacket in leather with floral-embroidery. Notched collar; off-center zip front. Long sleeves; zip cuffs. Side zip pockets. Lace-up sides. Snap-flap detail. Adjustable belt at hem. Semi-fitted silhouette. Viscose/cotton. Lining, polyester. Imported. Model's measurements: Height 5'10"/177cm, bust 33"/84cm, waist 25.6"/65.2cm, hips 35.8"/91cm, dress size US 2-4/FR 34-36. 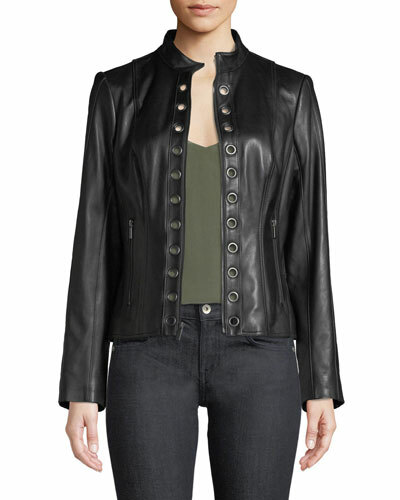 J Brand "Eden" moto-style jacket in lamb leather. Notched lapels; off-center front zip. Long sleeves; zipper cuffs. Shoulder epaulettes. Side zip pockets. Zip pocket at chest. Relaxed fit. Imported. Model's measurements: Height 5'10"/177cm, bust 33"/84cm, waist 25.6"/65.2cm, hips 35.8"/91cm, dress size US 2-4/FR 34-36.